Our crew from the AUS were out last Saturday evening, June 22, serenading the weirdly-garbed participants of the Keep Austin Weird run. We were stationed, wearing aloha shirts, leis, and grass skirts, on the north side of Cesar Chavez Street as the participants ran and sauntered by. We had our pictures taken. The runners posed in front of us. They gave us thumbs up. But there was indeed a lot of positive energy shared among everyone out there. 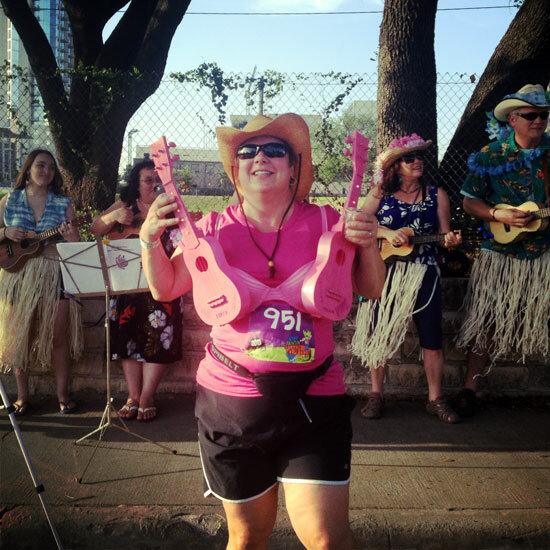 Oh, and did you see the woman wearing a double- ukulele bra over her running clothes? Quite an impression was, um, made. Actually, all of us were very impressed. 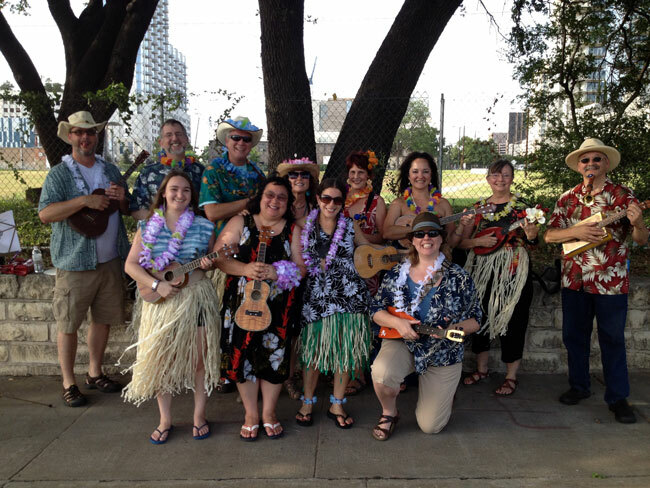 This entry was posted in AUS activities on June 28, 2013 by Austin Ukulele Society.